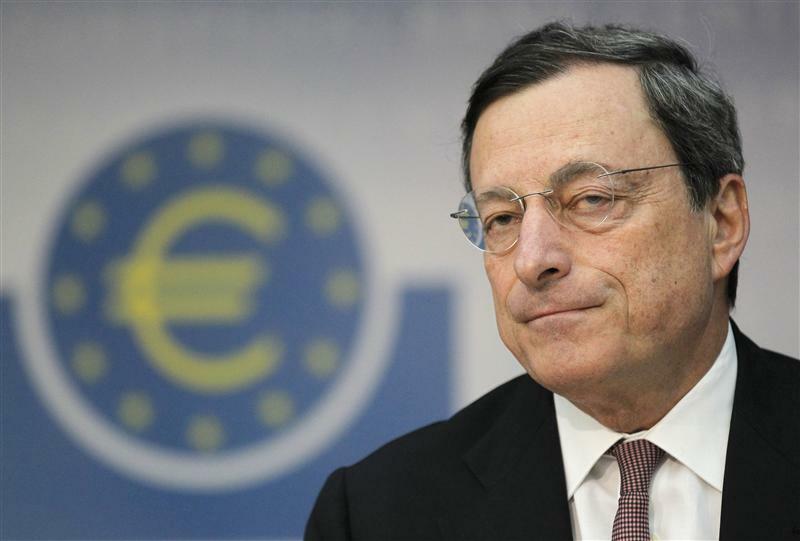 European Central Bank President Mario Draghi has been dangling negative rates over markets for over a year. In crisis times, a negative deposit rate would have been risky – but potentially powerful. Now the effect would be muted, but still tricky. There are several reasons why the ECB might cut its deposit rate below zero. It would allow the central bank to cut its main rate closer to zero whilst preserving a spread between the two. It would drag down short-term rates – and hopefully weaken the euro. It may encourage banks to lend, by penalising idle deposits, and deter capital flows from outside the zone, again weakening the currency. That in turn would help boost inflation – still much too low for Europe’s good. A negative rate would have been powerful during the 2010- 2013 crisis. In July 2012 banks had as much as 400 billion euros stashed at the ECB, as the central bank flooded markets with excess liquidity, and depositors were fleeing the periphery to banks in northern Europe. Taxing those deposits would have forced money back into Europe’s most troubled economies. But it might have exacerbated the euro zone’s divide and angered northern depositors or borrowers, if banks had tried to offset the negative rate. The effect now should be less dramatic: banks are repaying crisis loans. The excess liquidity provided by the ECB has fallen to just over 100 billion euros. Only 20 billion euros is stored at the deposit facility. The effects of going negative are still hard to predict. The euro would fall, but only briefly if banks responded by repaying their remaining ECB borrowings. And a small fall in interbank rates wouldn’t do much to stimulate the economy. As in Denmark, banks may raise lending rates instead, to offset any loss on their deposits. The ECB would need to solve a tension: it has kept borrowing costs low and prodded banks to lend by offering cheap, unlimited liquidity. A possible next step is to offer targeted liquidity – cheap loans conditional on new lending. Yet negative rates would encourage banks to repay ECB funds. If the central bank does adopt negative rates, it may be a small move and largely symbolic, indicating that rates will stay low, and hinting that it is ready for more aggressive action to boost growth and lending, like long-dated, targeted funds, or asset purchases. But given the challenges, Draghi should stick with the big guns. The European Central Bank is considering cutting its deposit rate to -0.1 percent, Germany’s Suddeutsche Zeitung reported May 21, citing ECB sources. A negative rate could revive interbank lending, and encourage lending to companies, Jens Weidmann, President of Germany’s Bundesbank was quoted as saying in the same article. The governing council of the ECB will next meet on June 5.